M. Anand Kumar Goud S/o M. Shanker Goud born on 22nd March 1954 from Secunderabad, Telangana, India. 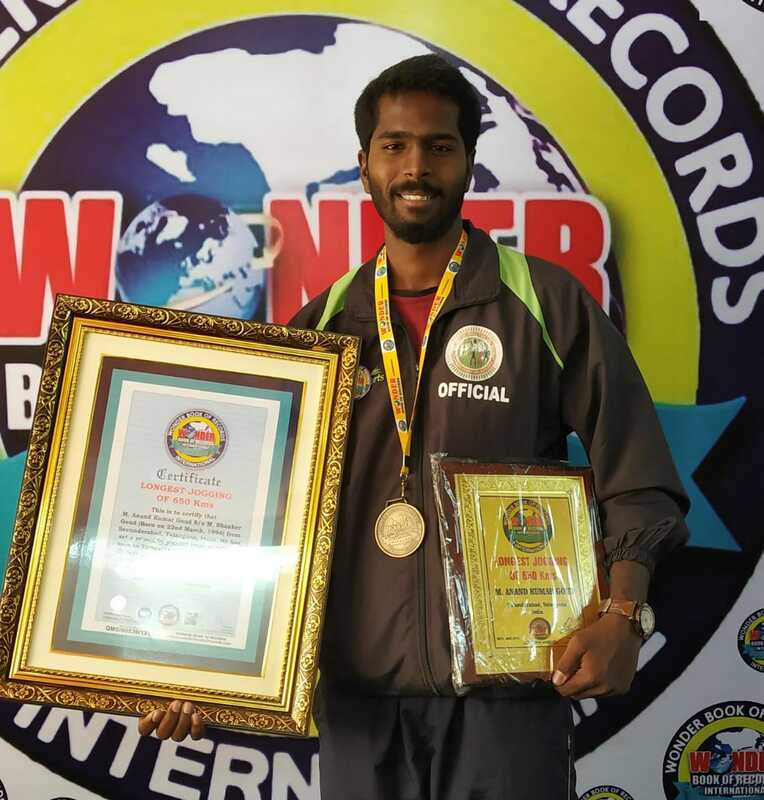 He has set a record by jogging from mehdipatnam to tirupathi a total of 650 Kms in 3 days from 10th January 2019. This is remarkable. ©2010 Wonder Book of Records | All rights Reserved.